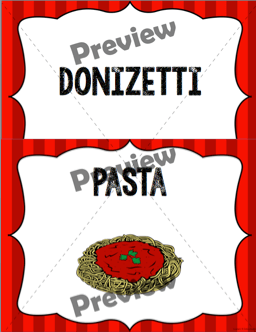 I saw a post this morning that it is World Pasta Day, so I thought it would be a great day to update a game I created for open house last year and share it with you. 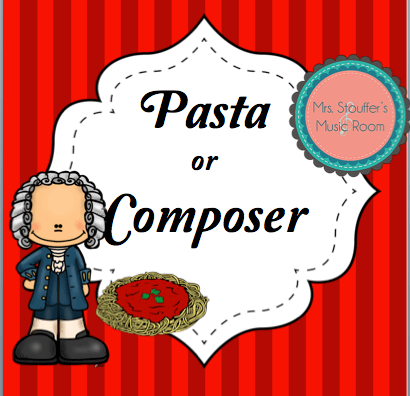 Pasta or Composer! Last year, my school had a Strega Nona themed open house. When I heard the theme, I had no clue what to do for an activity, finally settling on playing some Italian music and laying out instruments to play with it. Hearing what other teachers were doing, this sounded incredibly blasé. Then I saw the online quiz going around “Pasta or Composer”. 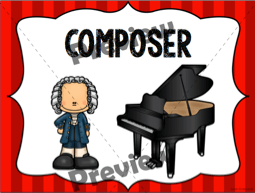 This sparked an idea, and I put together a slideshow with pictures of the composers and the pastas. I played it at the open house, and even the younger students really liked it, even thought it was challenging. They thought the guessing was fun, and enjoyed picturing them in their minds. I used it a few weeks later for my junior high kids as a game day activity. Even a year later, they still ask to play this game when we have 5 minutes at the end of class. This isn’t a big lesson on one composer, but a quick exposure to different names, a lot of whom we don’t talk about regularly. It makes a great pick up activity, a game for the end of a unit (especially if you are talking about Italy! ), or sub activity. While I can’t share that one with you for copyright reasons, I can share my updated version with you. 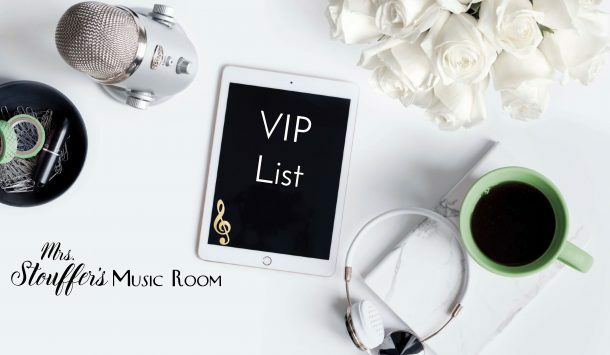 Click here to get it! It will be half off for 24 hours.